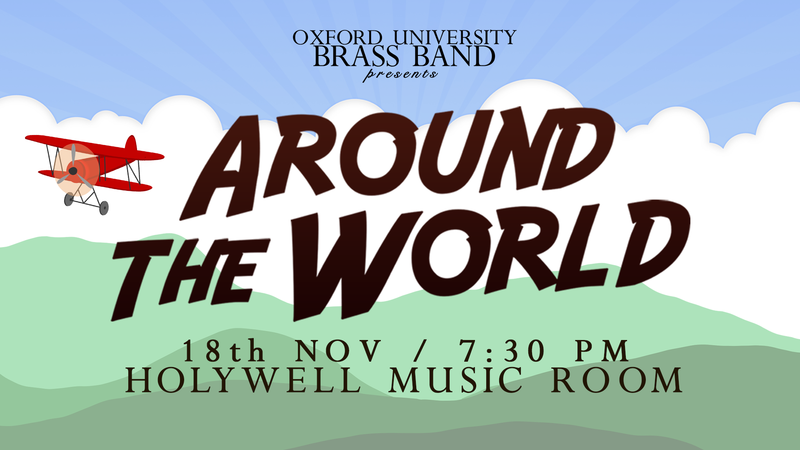 Oxford University Brass Band presents: Around the World. Enjoy a rich selection of brass music as Gareth Coulson conducts Oxford University Brass Band playing music from and inspired by places across the globe. Tickets are available on the door!